Ethics 4 A Digital World: Wheelock Library Tuesday 1/24 @ 6PM! Wheelock Library Tuesday 1/24 @ 6PM! 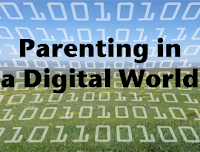 Last week's Parenting in a Digital World discussion at the Gig Harbor library was cancelled due to the "Snowpocalypse" that descended upon the Pacific Northwest. We hope you stayed warm and safe, and we will reschedule soon. Enough snow has finally melted, however, that we can crawl out of our thawing ice caves and travel to Tacoma's North end tomorrow night at 6:00 pm to chat with parents and teachers at Wheelock Library. We hope you will join us as we share the latest research and resources on kids and media/technology, and our best tips for families navigating the digital landscape.